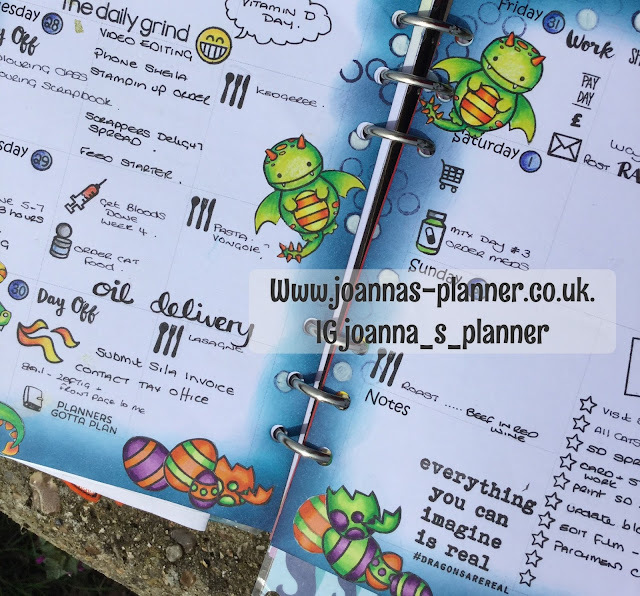 This weeks planner spread is all about dragons`s. You may have seen my part 1 post, THE DRAGON COLOURING TUTORIAL now it is time to put the dragons in to use and use them in a spread. This is my second you tube video and I have decided I might have been a little adventurous attempting a two part Plan With Me. I can honestly say it has been a very steep learning curve. I have learnt to use two different video editors, to apply music, to voice over, to add things, take things out, upload to youtube, delete from youtube and upload again. You may have noticed the saga of the disappearing tutorial as I noticed yet another problem took it down, corrected and reposted. 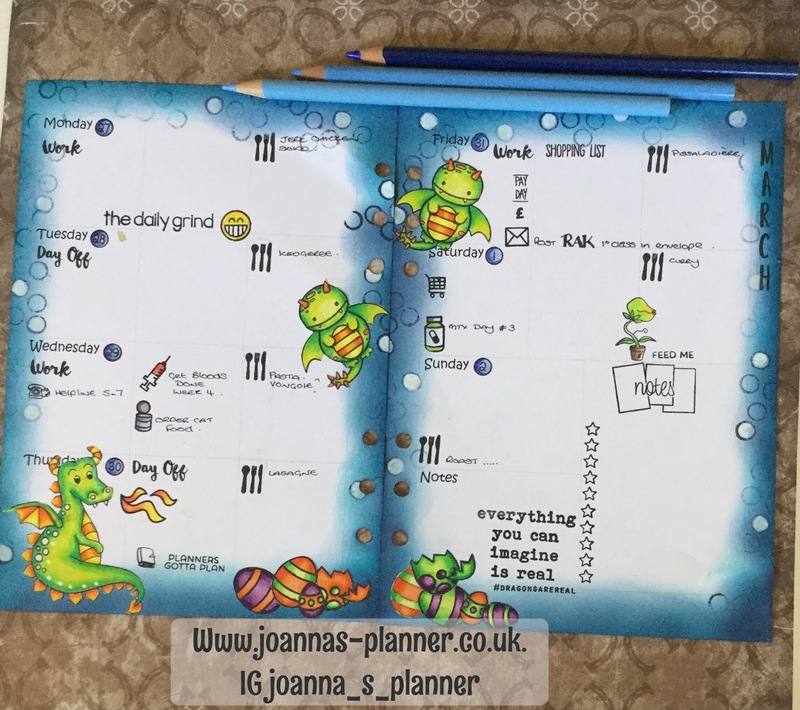 well here it is at last Plan With Me - Dragons, Part 2. I do hope you enjoy it and would appreciate any liking and sharing to give me a bit of encouragement to do more. If there is anything else you would specifically like to see shout and I will see what I can do. If you try anything for yourself and get stuck send me a message I am always delighted to help. 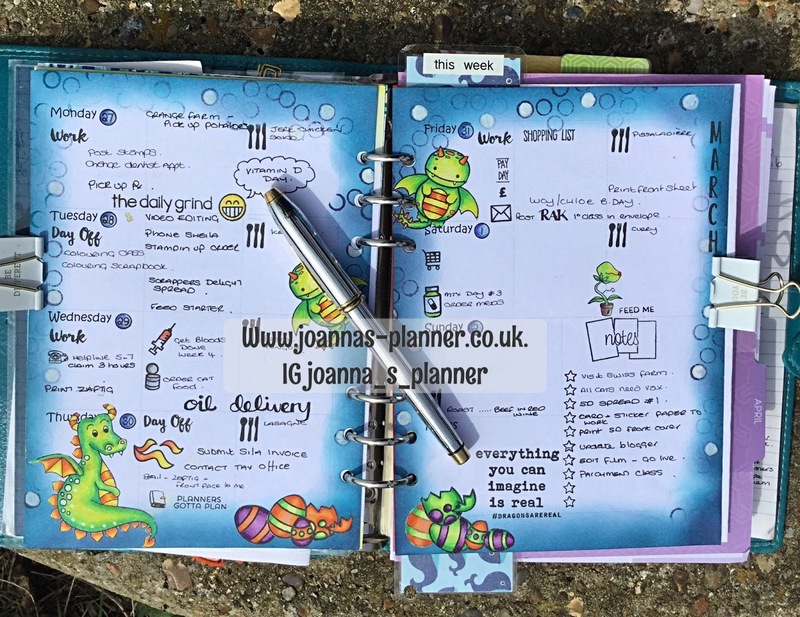 In view of my declaring my spreads must be functional here is a midweek hump day photo to show you my planner in use.